Providing engaging copy for the web, e-books, e-mail campaigns and more. 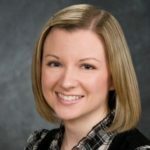 Katie Jones Young is a professional freelance writer and editor with a background in marketing and more than five years’ experience writing for businesses, non-profits, universities, medical providers and more. Whether you need copy for your webpage, custom blog posts, e-book content or editing services, e-mail campaigns or newsletters, Katie provides innovative, engaging and error-free copy. Katie works hard to master her clients’ desired tone and tenor for the target audience, she provides excellent customer service and she has never missed a deadline. Contact Katie today and harness the persuasive power of words to influence your company brand and your bottom line!